Zinc is everything you love about the beach. A place as special as this is hard to find. A place where you can truly be present. Here, you can feel at peace, and look with hope at the world around you. At all that lies within you. These will be the days we’ll keep in our hearts, always. These will be the days that last forever. Zinc is a boutique collection comprising 73 beachside apartments over eight storeys, and fuses the best of the old and new. 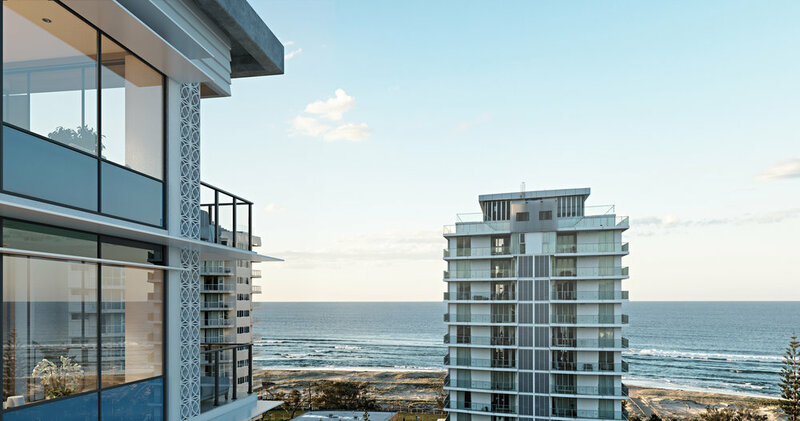 Nestled in premium beachfront destination of Kirra, the Zinc development is only 200m to the beach and comprises 1 & 2 bedroom apartments, all with car parking. Unit D type on level 2: $685,000 | 2 bed & 2 bath - North facing on a sensational corner with plenty of flow and natural light. Unit A type on level 5: $680,000 | 2 bed & 2 bath – North facing on the opposite corner with plenty of space and natural light. Unit B type on level 1: $620,000 | 2 bed & 2 bath - Bath tub as well as storage area. Unit G type on level 5: $455,000 | 1 bed & Study – South facing with hinterland aspect. The B , C and H Types have Bath tubs. Selected apartments have storage cages. Located only footsteps away from Kirra Beach, ZINC looks over one of the worlds’ most renowned surf breaks, lined with a long, evocative stretch of sand and a sweeping beachfront parkland. A walking and cycling track stretching along the entire Kirra beachfront connects you to nearby Coolangatta and Bilinga. Showcasing the alluring coastline, a short stroll will take you to the effervescent Greenmount Beach, Rainbow Bay and Snapper Rocks. Within an easy climb is the Kirra Hill Lookout, rewarding you with stunning Gold Coast views.